It is somehow fitting that director Clio Barnard would name the protagonist of her sophomore feature after her 2010 debut, The Arbor. Like the lower class English neighborhood that lent the earlier film its name, young Arbor (an astonishingly believable Conner Chapman) comes to represent something much larger than himself. 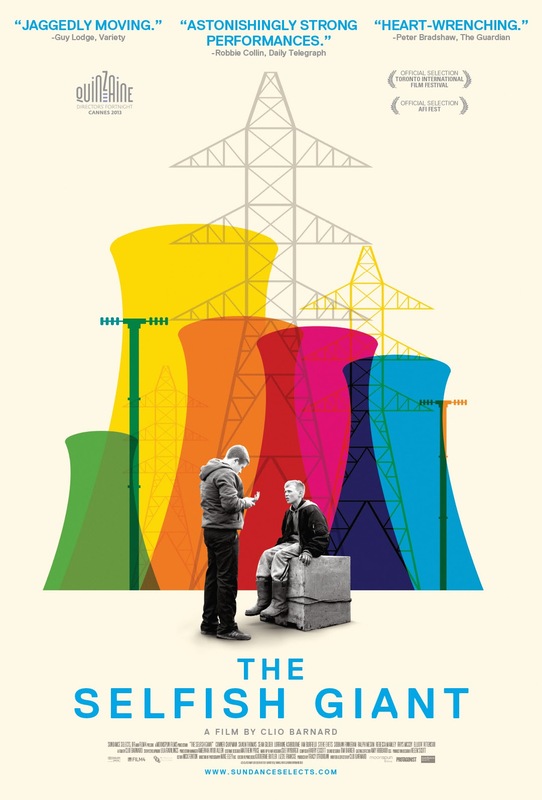 He is at once his own person and a whole kind of person, making The Selfish Giant an illuminating and troubling window into the plight of impoverished Britons. Arbor is something of a troublemaker, to be sure. He gets into fights, skips school at will, and is openly defiant of teachers and authority figures. His best friend, Swifty (Shaun Thomas), is a much calmer boy, but is swept up in Arbor's trouble making and soon the boys are both suspended from school. But idle hands are the devil's playground, as the saying goes, and soon Arbor and Swifty are looking for ways to occupy their time, and soon turn to stealing copper wire to help support their destitute families. 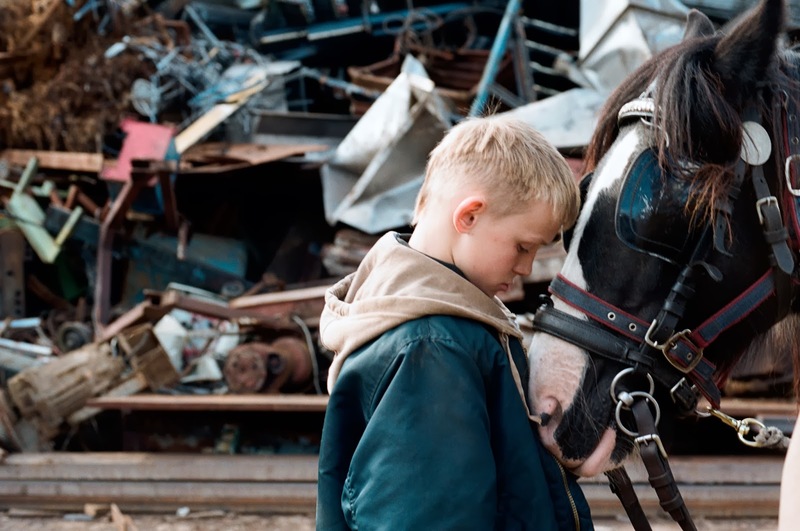 Arbor (Conner Chapman) and horse Tarmac Tommy (Ragdoll) in Clio Barnard’s SELFISH GIANT. Courtesy of Agatha A. Nitecka. The film takes its title from a story by Oscar Wilde, about a giant who kicks all the children out of his garden, but when the garden falls into perpetual winter decides to allow the children to return and play. In the end, he discovers that one of the children was the Christ child, and is devastated by his death. As Barnard was making the film, however, she found that the story began to shift, so much so that she even considered changing the title. But there remains a "Selfish Giant" figure here in the form of the innocuously named Kitten (Sean Gilder), a brutal scrap yard owner and Dickensian profiteer of child labor who pays them low wages for dangerous work. Swifty is good with horses and therefore gains the favor of Kitten, who loans his horse for use in transporting their ill gotten gains. Arbor, however, is more impulsive, passionate, but volatile, and therefore not as trusted by Kitten. This puts a rift of sorts between the two boys, as Arbor begins to lash out for attention - from his parent, from Swifty, from Kitten, from anyone who will listen. It's a desperate cry for help that will eventually lead to tragic consequences that will change and define them all. 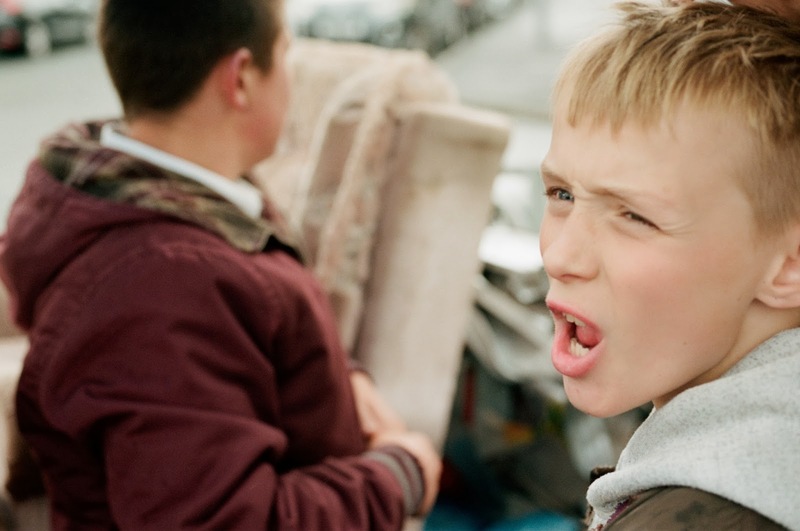 Swifty (Shaun Thomas) and Arbor (Conner Chapman) in Clio Barnard’s SELFISH GIANT. 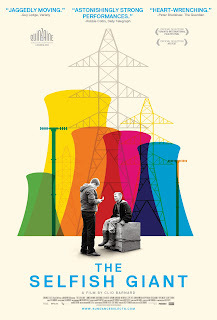 While not as formally daring as the narrative/documentary hybrid, The Arbor, which gained Barnard recognition for its audacious use of actors lip-syncing to pre-recorded interviews of actual participants in the subject, The Selfish Giant, with its keen sense of time and place (featuring accents so thick the film is shown with subtitles), has a kind of lived-in naturalism that calls to mind the work of Andrea Arnold (Fish Tank). It's a kind of throwback to the British "kitchen sink" drama, whose stark realism reveals a social ill, in this case the dark underbelly of poverty. This is nothing new, of course, films that wallow in the miserablism of the poor for cheap emotional gain. Barnard never seems to be exploiting her subjects, even when the film veers into tragedy in the third act. What she conjures instead is real compassion rather than pity. The Selfish Giant isn't so much about the plight of the poor as it is about boyhood friendships, and their deep bond that takes on the air of a strange sort of platonic romance. Barnard explores the depth of their bond, not just with each other, but with their families, becoming magnified in the film's heart-wrenching final act. Downton Abbey's Siobhan Finneran is especially heartbreaking as Swifty's beleaguered mother. Freed from the confines of the specific stylistic conceit of The Arbor, Barnard is able to stretch her legs explore her characters in a much deeper way. The Selfish Giant is an assured and disciplined work, raw like a festering wound, and devastatingly blunt, establishing Barnard as one of the strongest voices in British independent cinema. THE SELFISH GIANT | Directed by Clio Barnard | Stars Conner Chapman, Shaun Thomas, Sean Gilder, Rebecca Manley, Siobhan Finneran | Not rated | Opens Friday, December 20, in NYC.